Several years ago, a friend of mine showed me a book where she would paint in it and then write her thoughts on the artsy pages. Not being a person that has ever really kept a journal or diary, it didn’t appeal to me at all. I totally didn’t get it. That same friend is the one that showed me how to do Soul Collage Cards, which I then took to another level and called Soul Salad Cards – but that’s a whole different blog post in itself. The first of the year, for many years now, I’ve created a set of Soul Salad Cards – until this year. I didn’t have any magazines and you need quite a few to make them. After a few days, I could feel this intense emptiness – more of an need to create something. I did have a beautiful painting I was working on, but that was not filling the void. I need to cut and paste. ha ha ha…I know, that sounds weird, but I need to reflect and I’m visual so my reflections needed to be graphically. So, off to Barnes & Noble I went. Magazines galore, just not doing it for me though. Then, on an display was an Art Journal magazine and I could almost hear the horns playing in the distance – LOVE! That was it and I know I was in for a new journey. Oh, and the horns? Kenny G in the background music…but, it worked. I bought only a couple of magazines, came home and immediately started on making new cards. When I make the Soul Salad Cards, I keep a few on my desk and pull a new one every day for inspiration. This works, but not for the art journaling thing. In that magazine, they showed pictures of actual books that you keep. Even using old books. 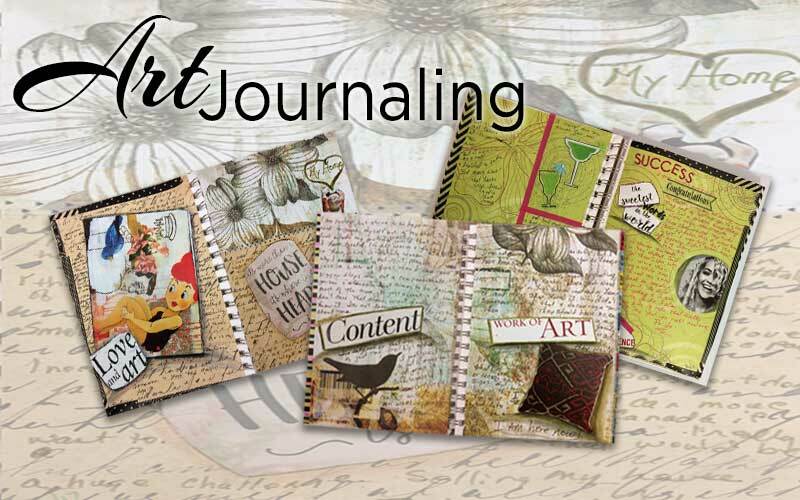 So, here I am…I’m making my art journal books, really for no one but myself. A few I have posted on Instagram, but the words on the pages are my thoughts, my inner secrets at times, expressions that are really just for me. Hope this inspired you to do something creative.